If you want to have an overview of the new line of the MacBooks, watch the video above, very informative. Wow, what a day. Apple today rolled out the newest generation of their MacBook computers. The most impressive upgrade of course rest with the new all glass and aluminum MacBook which features a glass trackpad with new multi-touch gestures introduced and a nice LED-backlit display. Apart from what’s changed outside, we see some major overhaul to what’s inside as well. The MacBook now comes with an Nvidia GeForce 9400M graphics chipset, a 2GHz Core 2 Duo configuration with a 160GB hard drive for $1,299 and a 2.4GHz offering with a 250GB hard drive for $1,599 (which gives you the bonus backlit keyboard as well). The MacBook Pro also features the same glass trackpad, a more unibody design which wraps the aluminium casing around the black glass iMac frame on the front display. The 15.4-inch MacBook Pro now comes with a 2.4GHz Core 2 Duo chip and 250GB hard drive for $1,999 and the other with a 2.53GHz processor and 320GB hard drive for $2,499.As for the 17-inch model, the processor speed remains at 2.5GHz (upgradable to 2.6GHz), memory been increased to 4GB and storage capacity, a whopping 320GB. Other addition to the lineup includes the 24-inch LED Cinema Display, (1,920-by-1,200-pixel resolution) which features a built-in iSight camera and microphone, stereo speakers, and three-port USB 2.0 hub. The same aluminum and glass enclosure design, resembling the Apple’s current iMac design. 10 days ago, I blogged about the upcoming dream notebook for photographers, the Lenovo ThinkPad W700, on my sideblog (full specs and press release posted there), the Phooey Pics. Today, we got news that the Lenovo ThinkPad W700 is now available for order and the delivery date is roughly a month from now. As for the price tag, well, expect to ditch out at least US$2,978 for the basic configuration which features 17-inch WXGA+ display, T9400 CPU, 2GB of DDR3 RAM, NVIDIA’s 512MB Quadro FX-2700 and a 160GB hard drive. What makes the ThinkPad W700 so special and so expensive (even more than the 17″ MacBook Pro) is not only the specs but the integrated digitizer which photographers would love while working on their photo editing programs. Can’t wait for its local release here in Hong Kong, will update when I hear more. New post over at Phooey Pics on the all new Lenovo ThinkPad W700, the ultimate notebook for photographers, hop over for the read, link here. 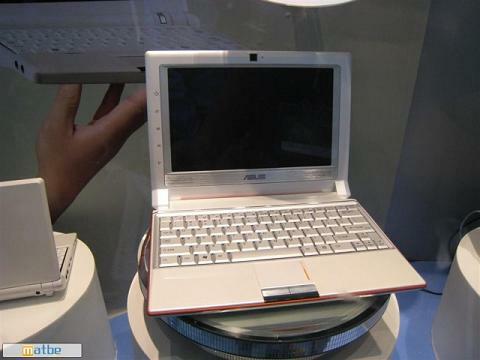 ASUS Launching New Eee PC 900 with 30GB Hard Drive? 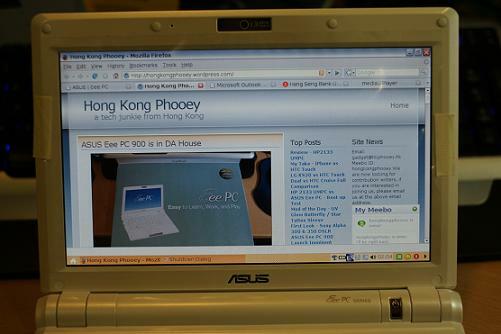 Electronista ran a story about a possible upgrade to the ASUS Eee PC 900. According to the the article, the specs would remain unchanged except for the hard drive where ASUS would beef it up to 30GB. Battery life is said to decline from 2.5 hours to 2.2 hours due to the increased power demands for the drive. Pricing is US$513 for the Linux version (which comes in black or white) and US$528 for the Windows version (black only). No word on release date. My new entry over at Lifestyle Hong Kong is up. 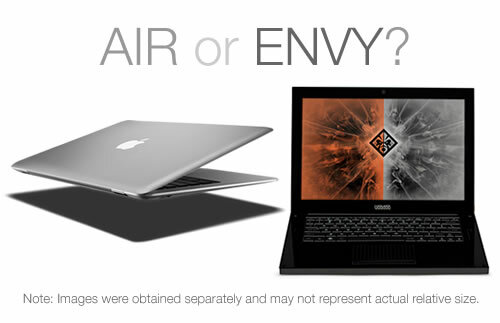 This week’s entry, “Comparing Prices: Mac vs. Windows Laptops“. Click here for the read. Well, it’s been almost two weeks since I ventured into the Mac world. Bought my first Mac (the MacBook Pro) finally after 20+ years into computing. Wasn’t sure that I would be too comfortable with the switch, I felt like an elderly learning how to read and write all over during my first week with the MacBook Pro. But thanks to a few Mac friends out there, especially Belle over at BeansBox, who lend me “The Rough Guide to Macs and OS X” (really good read, thanks Belle), the switching seems to be quite smooth as I move into the second week. This week, I will be working my ways around the video editing program, iMovie, and see whether it have enough juice for me to edit videos with my new camcorder, Sony HDR-SR11E (will blog on the new camcorder later this week). Well, some would ask why the switch? the answer is the attractive price offer in the back-to-school special from Apple. HK$13,900 for the	2.4GHz Intel Core 2 Duo MacBook seems pretty reasonable to me. Remember last week I blogged about the price slash on the SSD version of the MacBook Air? Well, that price slash is reflected in the special as well (for only HK$19,900). For those who want even better deals, check out the Apple certified refurbished Macs, for example a Refurbished iMac 24-inch 2.8GHz Intel Core 2 Extreme with 2GB memory, 500GB hard drive and ATI Radeon HD 2600 PRO with 256MB memory cost only HK$12,468. For those who’s thinking about switching as well, there’s a good article, Some General Tips for Switch to Mac From Windows, from Mossberg last week, check it out. Wow, that was fast. Apple slashed a big chunk out of their MacBook Air, at least with the SSD version. For those who just bought it recently…..major bummer. processor SP7700 (4MB L2 Cache, 800MHz FSB) with 1.6GHz as standard and 1.8GHz as optional. Well, seems like the HP Voodoo Envy 133 wins out on the specs, tell me what you think. This video from Shiny Shiny, think it can match up with the MacBook Air or the Lenovo Thinkpad x300? [Updated: 4 May] Laptop Magazine’s mini-review on the Lenovo IdeaPad U110 is up, link here.